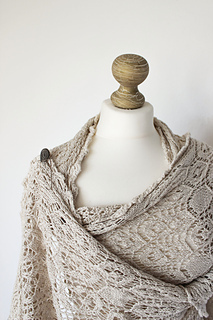 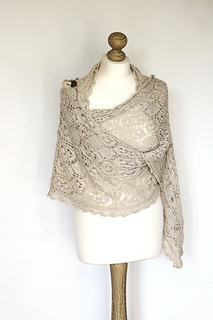 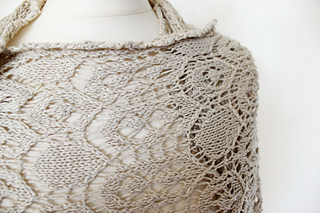 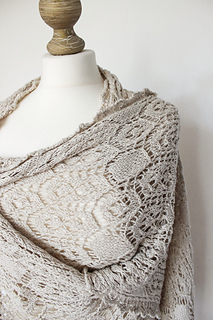 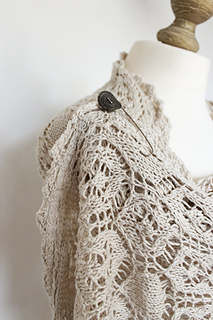 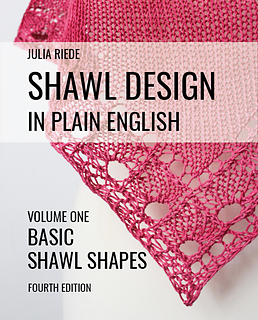 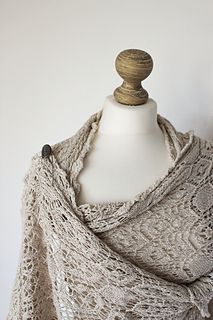 A rectangle stole worked in two halves from center outwards featuring Shetland Lace motifs. 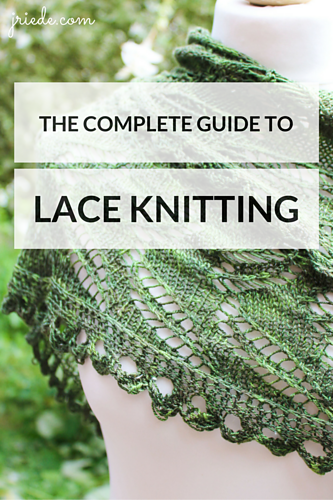 Lace is patterned on both sides. 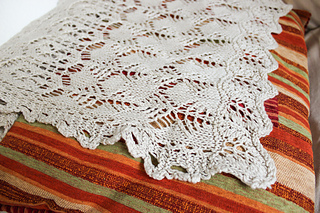 The stole is worked on garter st ground. 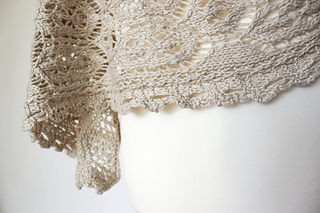 The first and second half are identical, the first half is started with a provisional cast on and worked towards the edge; the second half starts with undoing the provisional cast on and working from center outwards.